Also, a more fundamental analysis of the abilities of the person. Have they got what it takes to be in business? As well as more stringent analysis of where their cash flows are coming from, who are their potential customers? What is their reason for being in business? Start up businesses begin in numerous ways, eg. 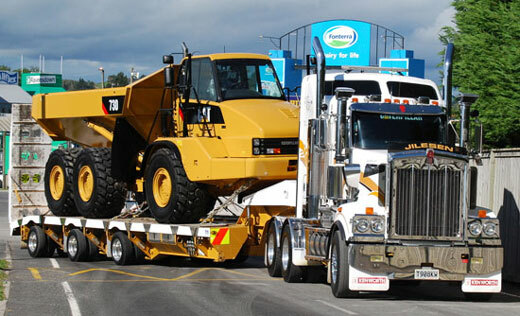 truckies start up as owner/drivers. So you're looking at the security of the cash flow of the company they're working for, the contract they've got and the minimum income flows that are guaranteed. Straight start-ups require a lot of thinking and planning. Generally the person has got to have some substance behind them, ie. assets, the individual's capabilities and how much they're prepared to put forward as a deposit. Try to get your final annual accounts done within six months of the balance date. Out of date financial accounts is not a good look and lenders will think you've got a casual attitude towards business. Owner prepared management accounts (Profit & Loss and Balance Sheet) have become the norm in today's business environment. With the advent of MYOB etc, more lenders are requiring them. Businesses that haven't already moved onto in-house accounting packages should really think about doing this. Talk to your accountant to find out which software package they prefer and go with that. Do monthly accounting. Get your accountant to do your annual accounts. But save some money along the way by presenting the accounts to him or her partly done. Review accounts each month and do a forecast budget and review against that to see how you're going. These are required in support of applications, clearly showing the existing loan commitments and where possible showing the new monthly commitment separately. Comment on the assumptions relating to how the figures have been arrived at, especially turnover. If you are buying an additional machine and need to generate more income to service the debt, most lenders will be looking for a budget or a forecast of what's going to happen to turnover and profitability once the machine is out working. This is the personal position of the business owners. For most transactions, lenders will require personal guarantees from the owners of the business. The statement is telling the lender what the owner's personal position is. This gives the lender an idea of how much substance is behind the business in case at any time it needs propping up. Also if there have been high drawings from the business, has it been turned into assets in the owners personal names? Have they invested it wisely for the future? This is a list of all loan commitments the business has with banks and finance companies, including personal loans funded by the business, which details limits, balances, interest rates, monthly payments and what the purpose of the loan was. If your monthly accounts are recent, they will show the working capital position, ie. what are the current assets and liabilities? If your accounts are not recent, lenders many want to know what the position is today for cash, debtors, creditors, stock, overdraft and tax due. This is a list of people owing you money and how overdue they are, and a list of people you owe money to and whether you're up to date. This will give lenders an idea of the future cash flows. If the business is reliant on you, what happens if you're not there? Are you insured? Or have you invested in developing people in the company to ensure they can support it when you're gone? Lenders may ask for it to be confirmed by the accountant or the IRD. Written with help from Mike Hartley at Credit Flex.